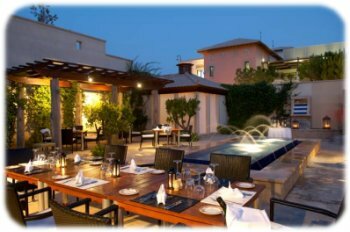 The Aphrodite Hills resort offers a multitude of activities to keep you, and your friends and family, occupied. These include golf, championship standard tennis courts, health spa, gymnasium, shops, restaurants, doctor’s surgery, bank and bars all in a traditional Cypriot setting. The resort is conveniently situated only 15 minutes from Pafos airport and 75 minutes from Larnaca airport, very close to motorway links from both. Click here to view a video introduction to the resort. The village square is where all of the facilities , activities and venues are on resort. Events take place here regularly, including markets, dancing, local bands and activities for the children. The Resort Village Square restaurants offer many different styles of food and provide excellent service and facilities. Aphrodite Hills has recently won accolades for being among the worlds ‘Top Child-Friendly Resorts’ and boasts many daily activities to keep younger family members entertained. Kids facilities have been upgraded on resort; a spacious indoor kids’ club, shaded play areas, an outdoor adventure park, a multi-purpose surface court, a playground for both younger and older children plus an aerial rope and crazy golf. The kids club, based overlooking the playground provide childcare for 3-12 year olds and the creche also takes 6 months – 35 month old babies. There are also facilities for the teens that have their own full day programmes and a special Grotto club with pool, table football, computer games and soft drinks. In peak season the clubs can include a meal and remain open throughout the evening. Academy sessions for Golf & Tennis can also be booked for during school holidays, these are a great way for to meet kids of a similar age and brush up on their swing and ground strokes too. If you need any kit for your youngsters, like pushchairs, high chairs, cots, play pens, safety gates etc then there is an on resort supplier called KidsTravelLite. Email them at hello@kidstravellite.com and they will make all the arrangements for you. 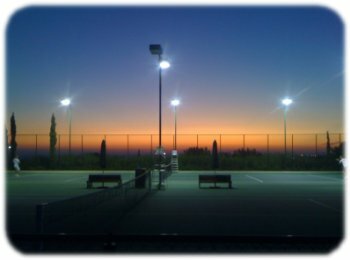 The Aphrodite Hills Tennis Academy, the biggest tennis academy in Cyprus, is firmly established as a world-class facility on the international tennis scene. The academy features 9 tennis courts (four clay and five hard courts) and attracts players of all levels to learn or improve their skills in the year-round warm climate and sumptuous surroundings. All of the hard courts are green set surfaced, making them suitable for continuous play in hot weather, whilst the clay courts provide players with an additional choice of surfaces to train on; both of which are used in tennis tournaments throughout the world and recognised as championship standard. You can book individual courts by contacting the Tennis Academy reception or if you require Individual or group coaching courses and lessons, contact us for further information. The 18-hole championship standard course on Aphrodite Hills is a must if you are into golf. In many ways the perfect resort course, this means that it requires thought and a sensible approach but is not over penal. Beginners can enjoy the facilities too, with access to the driving range and par three academy course, where a lesson or two may come in handy with one of the pro instructors. No expense has been spared either on or off the course at Aphrodite Hills, and the clubhouse is certainly a match for the best anywhere else in the world. If you are looking for some variety, there are two other 18 hole courses within 10 minutes of the resort. 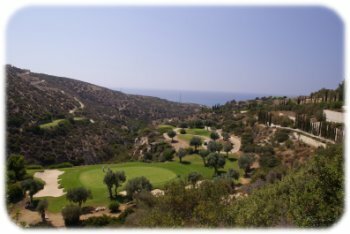 Secret Valley Golf Course is five minutes away and Elea Golf Course only ten minutes, Minthis Hills Golf Course is about 35 minutes away, just north of Paphos. If your leisure pursuits are somewhat slow paced there is an award winning health spa on resort. It offers an outdoor spa pool with stunning sea views, an array of therapies, massages and treatments, all set in tranquil ‘monastery inspired’ surroundings. The Retreat has a total of 24 spacious rooms many with sea views, the options include couple rooms to private balconies to specialised hydrotherapy, spa manicure and pedicure rooms, Thai rooms and garden massage pavilions. The Retreat’s operating hours in the summer are from 8:00 am to 8:00 pm, with treatments taking place from 10:00 am to 7:00 pm. Operating hours in the winter are 8:00 am to 7:00 pm, with treatments taking place from 10:00 am to 6:00 pm. The Gym on resort houses an extensive range of cardiovascular equipment – treadmill, exercise cycle, rowing machine and stair climber; free weights; swiss balls and other equipment necessary to ensure workouts are varied and enable you a uniquely different but effective workout on each visit. Aphrodite Hills has its own private beach located within a 20 minutes drive from the resort. 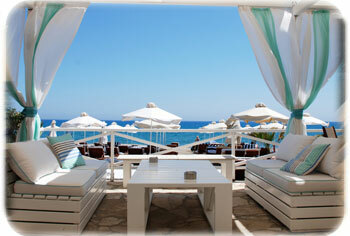 If offers a sandy, child-friendly beach, beach facilities (sunbeds, umbrellas, towels), a bar and two restaurants. It is a quiet and tranquil hideaway perfect to wind away those lazy summer days by the Med without a jetski in sight! 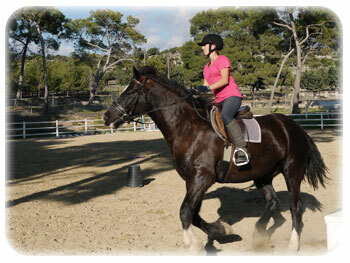 The Aphrodite Hills Riding Stables offer horse riding experiences in the forestry land of Lakkos tou Frangou, which is adjacent to the north end of the resort.